How Far is Bhuvana Burgundy Orchards? 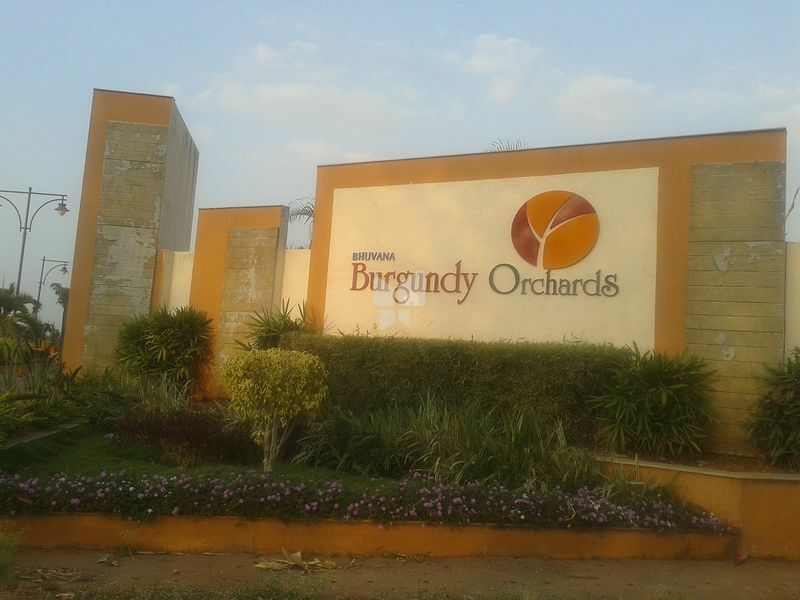 Bhuvana Burgundy Orchards Phase-3 (Luxurious Villa Plots). The township is planned on the concept of living, where a house becomes an extension of the land and vegetation which surrounds it. Landscaped courtyards are integrated into the house plan & around it. The result is a stimulating living space that is totally integrated with nature. Site dimensions 30 x 30, 30 x 40, 30 x 50, 40 x60 and odd sites. 3.5 Kms from Rajankunte 24 Kms from ITC Windsor Manor Hotel. 19 Kms from Bangalore International Airport. 13 Kms from Yelahanka Police station. Educational Institutions Aditi mallya international school Sheshadri puram college B.M.S institute of Technology Poorna prajna institutes Sai vidya institute of technology Nitti institutions Stone hill international school POLA International School. Well planned gated community with 24 hours security. Street light to ensure the layout is well it . Kids play area with child safe equipments. Sump and over head tank for water supply. Well designed sewage treatment plant. Akshaya Homes Builders & Developers the time – tested concept of Vaastu whilst acquiring and planning layouts and homes. Judiciously combining modern engineering techniques with these traditional values, the company has captured the loyalty of many a family who has invested in its properties. Honesty and a professional outlook, coupled with discipline and a will to please are the benchmarks of this vibrant real estate investment company. Indeed the properties it has for sale and the growing profile of families who entrust their investments are a matter of pride. All locations are carefully chosen and subsequently designed keeping in mind the weather elements, need for privacy and ‘lung’ space. People are the most valuable asset at Akshaya Homes, they are the bedrock on which our growth and success stands they are the pillars of strength that makes us who we are. The management teams comprise of highly-motivated, industry and domain experts who have been with the organization, in most cases, for over a decade now. They closely drive and lead their respective functions infusing impetus, passion, energy and growth for their teams and the organization at large. With commitment to Vision and Mission and the Values, they ensure high-integrity and continued credence in all we do and deliver. At Akshaya Homes, We look at creating homes with the passion and pride the way an artist does. No detail is unimportant in whit contributs to the larger picture. And every single brush stroke is made keeping in mind the vision with which the canvas has been conceived. Like every fine painting that speaks with unique voice of the artist who created it, each Serene home is a masterpiece; befitting our customers- the real connoisseurs who inspire us.